New Library in My Life! How do you know someone is a good friend? You know because they endure you totally geeking out over your new public library! 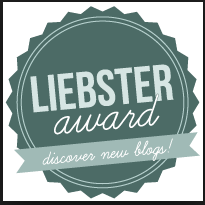 If you’ve been a follower of this blog for more than a couple months you know what a Public Library Nut I am. I do have a whole series of posts – The Library Stack – about my current library loans. While I was visiting the Greater Denver Colorado Metro area March 20 to March 24 to find an apartment to rent, I checked out the local public library in the area where my new selected apartment resided. My friend Michele endured me chatting with the library staff, getting a tour of the library and totally geeking out over a new 700 section to explore! She was extremely patient! To me a library card is like gold! Here is a little taste of my new library which is walking distance of my new apartment! So much crafting book yumminess awaiting me at my new library! They also had a cool section called “Lucky Day” where the latest releases of books and movies were available first come first serve. They cannot be renewed and these are copies that cannot be put on hold when they are in the “Lucky Day” section. While looking at the “Lucky Day” section I chatted with a library patron who was very excited about her lucky new release find! So as I am wandering around my new neighborhood I can peek into the library whenever I am nearby and see if it is my “lucky day”! Now some of you might be thinking: “wow, she has no life”. What can I say, ever since I was a preteen I have been in love with the library, it is a sanctuary! I continue to spend my evenings packing but I made it through packing my books and magazines and now I can see a light at the end of the tunnel. Last evening I worked on packing my kitchen and realized I had a pathological amount of spatulas. I did not realize I had some sort of spatula obsession. I did pare it down to just two. If I suddenly need more spatulas, I am sure they have more in Colorado! This post is sort of a follow up to my previous post Love Wears it Out (Repost). I ordered someone to WEAR OUT a quilt! My original “Quilting Sister” (the woman who got me quilting) Judy always stated in response to people who would say to her “oh I wish you would make me a quilt“, is that you need to have a very special occasion to get a quilt: you have a baby, you get married, or you have some other very special occasion. As quilts are a lot of work/time to make, not to mention a lot of money to make (more than non-quilters realize – see the TheQuiltShow’s July 2018 post – How Much Does It Cost to Make a Quilt? ), I’ve generally stuck to this rule. Now, of course I’ve made quilts for special people in my life just because they are special. And as I’ve learned over the years, not everyone appreciates handmade items or appreciates the time and effort that went into it (I always remember the awful story a friend shared of discovering that a beautiful quilt she made for someone was being used to clean up an oil spill in recipient’s garage!). But for the most part it is pretty darn exciting to give someone a quilt for a special occasion or because they are a special person. Well my friends Cody and Cici are getting married this summer (a qualifying reason to get a quilt! ), and although I have not known them a long time, I consider them special people and they really appreciate handmade items, so I sent them an early wedding gift – a quilt that I made with my late husband (who passed in December 2018), Terry the Quilting Husband. I sent it to them with one very important stipulation: THEY MUST USE IT AND WEAR IT OUT. So I knew Cody would love the quilt but I was a little worried his Cici might cringe. But I thought I would take a chance and send it to them as a their wedding gift. They are super active outdoors people and have a cool Sprinter van that they use for long distance camping adventures, so I suggested that this very warm heavy flannel quilt be used for those adventures. Photo courtesy of Cody G.
Cody and Cici sent me photos of them wrapped in their favorite sides of the quilt! I am working on a move to Colorado (see my series of posts Colorado Bound) and I need to lighten my load and this was a great way to do it. I know Terry would approve the quilt going to people who will love it and use it well! I hope this quilt gets completely worn out to the point of being threadbare from a lifetime of adventures and road trips! It is “one for the road”. I really appreciate the opportunity to share my musings with a larger audience. Yesterday, during the weekly Spousal Loss Grief Support Group I attend, the book The Velveteen Rabbit by Margery Williams was mentioned. This made me think of a post I wrote in 2013 answering the question: “How do you know a quilt has been loved?” in which I quote this beautiful book. Thought I would repost this post today. How do you know a quilt has been loved? It is worn, frayed, maybe even threadbare. In my early days of quilting this would make me cringe. I put all that work into a quilt and now it is all worn out? Now the thought of one my quilts being so loved (just think of that glorious book The Velveteen Rabbit) brings a huge smile to my face. While talking to my sister (she has many quilts from me) she mentioned that most of the quilts I have made her are very worn out, some are just “hanging on by thread” about to fall apart. I take quilt construction seriously and for a second I thought “wow shoddy workmanship on my part” and “why did they not take better care of the quilts”? I came to my senses several seconds later and realized: Wow! Those quilts have been truly loved – I am so lucky and so honored! “If a quilt is falling apart, all worn out, then it has been truly loved…I never mind repairing a quilt that has been loved”. Thank you to all the people I have made quilts for over the years, who have truly loved them, and made them REAL. Re-posting this post also made me think of an art quilt I finished in April 2018 titled Recycled Denim Story V: Recycled Love (2018). This piece is part of my Recycled Denim Story Series of art quilts (see my page Art Quilt Stories for more of the series). Recycled Love (see post The Recycled Love) honors all the love that goes into making and giving a quilt to someone. The first law of thermodynamics states that the total amount of energy in a system cannot be created nor destroyed, it can only be changed from one form to another. A quilt is made from changing the existing “love energy” from the quilt maker’s heart into a pieced textile; ultimately recycling that love energy into the quilt’s recipient heart. A little less than a week ago I began having quite a bit of anxiety over how I was going to face my first Valentine’s Day without my Valentine. In December 2018 my husband Terry suddenly passed away. I’ve been with Terry more than 1/2 my life and we’ve never been apart on Valentine’s Day. I was anticipating a painful day on February 14th, completely stricken my grief, perhaps not even able to get out of bed. In the middle of my anticipatory grieving anxiety, I suddenly realized that doing something for others might be the solution to dealing with Valentine’s Day. For the past 5 weeks I’ve been in a difficult but awesome Spousal Loss Grief Support Group that meets weekly. It suddenly hit me that all the widows and widowers in the grief support group with me were facing the same dilemma of their first Valentine’s Day without their Valentines. So why don’t I invite them all the be my Valentines? And that is just what I did. Terry’s favorite cookies were the Molasses Crinkle Cookies that I loved to make. I’ve done little cooking and no baking since he passed so it was a pretty big thing to open my cookbook and actually bake something. I made a huge batch of these cookies and it felt good to bake again, so good that I actually experienced a sweet moment of joy as I assembled the ingredients. I put the cookies in a basket and included little sandwich bags for them to take as many as they wanted home. I gave them each little wallets. If you are new to my blog here is a post about the little wallets I made a zillion of since I first became obsessed with them – “Little Wallet Madness” . If you are not new to my blog then you know all about little wallets and some of you own some of my little wallets you won in my blog anniversary drawings! I gave her a set of my little heart pillows, as she has been helping us heal our hearts. I think it went over pretty well. The facilitator let me present them at the start of our support group meeting. The men were willing to share their cookies and both the men and women got to take home some cookies if they wanted. There was laughter, smiles and hugs despite the difficult topics we discussed at that support group session. Today is Valentine’s Day and I feel at peace. I think it is because I stepped outside of myself and my grief and thought of others for a moment. Day and night wallowing in my grief was not working for me, even if everyone expected and supported it. I had to try something else. That’s where my grief group came in, my unexpected valentines. Grieving is hard work, maybe the hardest work I’ve ever done. It’s definitely a hobby I don’t recommend for anybody. But, if you’re suddenly find yourself a member of the club that no one ever wants to join, find a grief group. Part of what I have learned from this experience is, don’t try to go it alone. Grieving the loss of my husband whom I’ve been with more than 1/2 my life is a daily life-consuming experience. It was like he was the “tether” that held me to this world, to this life. Now friends and family attempt to try to reach up and grab “my string” to re-tether me as much as they can, but ultimately I have to learn to “tether” myself. Recently I finished a powerful book that my grief counselor loaned me – Grieving Mindfully: A Compassionate and Spiritual Guide to Coping with Loss by Sameet M. Kumar PhD. After reading this book I’ve been thinking about one of my favorite poems by Rumi (Jalāl ad-Dīn Muhammad Rūmī – a 13th century Persian poet and scholar) – The Guest House. I’ve shared it in previous posts but thought I would re-post it. I attend a weekly Spousal Loss Grief Support Group. Prior to today’s weekly meeting I’ve not shared with the other group members my plans to move to Colorado (see my previous post Colorado Bound (Part II)). Today I have a guest post from Diana S. Clark of the Sewing Machine Club for anyone who is thinking about becoming a quilter but is not sure when to start. Diana contacted me a week ago with the idea of a guest post and I love the information in her article and thought it would be fun to share with you! There’s nothing more heartwarming than receiving a novelty quilt handmade with love and care which is why quilts make such great gifts! Although quilting seems tedious and takes a lot of time and effort, they’re actually pretty simple. As a matter of fact, anyone can start quilting in the comfort of their own home. If you’re on the fence on how to begin quilting, we got you covered. We have some tips to help you start your quilting project to ensure you’re fully prepared. Patterns are a crucial part of your quilt. It’s important to think about what patterns you want so you can prepare fabrics and equipment before quilting. Patterns come in different varieties and some may be a bit more complex than others hence, taking more time to create. So, keep in mind to choose a pattern that suits your taste and skill. Before quilting, remember to gather all the equipment you need according to the instructions of the pattern since different patterns have different instructions. When searching for fabrics, opt for colorfast fabrics that don’t run when washed. Also, make sure to measure each block to figure out how much fabric will be needed. Find a comfortable space and set up your equipment such as your fabrics, sewing machine, and tools. Start by carefully cutting your patchwork pieces with a rotary cutter before sewing them. Once you’ve got all the patchwork pieces prepared, start quilting the top as it takes a lot of time and precision. Finally, make sure to iron the patchwork to set it. Next, baste the quilt by combining the top and bottom layer and placing batting in between like a sandwich. Use pins or temporary adhesive to hold the layers while you sew them so the layers stay in place. When you’re done with sewing the layers, add some final touches with some decorative binding to the edges of your quilt to seal the layers. For more details and images, check out this infographic about quilting! I need to move to a major airport hub to put me closer to visiting my family and to make world traveling (should I choose to do that) more accessible. I have a longtime friend that lives in the Denver area. I have visited Colorado many times and love it. I need a new adventure. The climate (high desert, high elevation) is similar to Central Oregon. I want to live in a large metropolitan/urban area with more cultural opportunities. I love the mountains and always want to live near mountains. More to come in a future post. Hello My Blogging Community, thanks for all your support during the most challenging time in my life. I wanted to share that I have finally returned to “making” after quite the hiatus after the loss of my husband. But first, let me share the two wonderful surprises I got in the mail today. To learn more about the amazing Beasties that Helen makes, check out her website – crawcraftsbeasties.com. It was like a large fabric postcard with a wonderful handwritten note on back. I so appreciate all the support from my blogging community including so many people who have never met me in person and only know me from my blog. I wish we could all get together for some tea and pastries at a nice cafe. I feel I turned a corner as I am no longer dreading sympathy/condolence cards in the mail. So many thoughtful people have sent their condolences over the loss of my husband but each card was like a gut wrenching stab reminding me of my profound loss. I dreaded getting the mail and making myself open the cards and their words of sympathy blurring before my tearing eyes. Perhaps in retrospect I should have put them aside and read them later. I felt compelled and obligated to open each card. On Tuesday I began an 8 week Spousal Loss Grief Support Group. The first meeting was incredibly difficult especially at first but by the end of the meeting as we all started to share and connect it got so much better. The Grief Counselor facilitating the meeting is amazing. This support group is through our local hospice and is a free community service. There is an educational component to each meeting and I learned a lot about grief and why I have struggled with some severe irritability. I am so happy to have a safe place to talk about complex feelings with others who have also experienced the profound loss of a life partner. I now get the whole “support group” concept where people going through similar experiences can support each other and relate to each other struggles, especially with the help of an amazing group facilitator. I knew I needed to return to sewing and the tactile experience of working with fabric as part of my healing. I was either struggling with low energy or lack of interest, but I kept trying to dive back in. But I have not done any work on it. That worked. I’ve been working on making EPP hexies in the evening. Occasionally making the hexies feels bittersweet at Terry punched out the paper piecing templates for me. But I like to think that we are making them together. Hello to my blogging community. I am continuing my series of posts about my new journey as a widow after losing my partner for more than half my life, Terry the Quilting Husband (TTQH). My first two posts in this series Stories from the Road, Part I, and Stories from the Road, Part II were literally about a journey – a road trip with my sister across 4 states to see family on the East Coast and to celebrate TTQH’s life. This post is focused on my figurative journey navigating the grieving process and moving forward with my new life after the loss of the love of my life. Before I dive into that, I wanted to say thank you to those of you who left thoughtful comments on my previous posts with your condolences and support. I’ve read all of them. I also appreciate those who have reached out via e-mail and/or also sent cards. I miss regularly blogging and interacting with my regular blogging community (to include reading and commenting on your blog posts, etc.) but the profound grief that comes with such a loss consumes mental and physical energy on a level I cannot put into words. I will likely at moments ramble in this post, but hopefully I will stay fairly coherent (smile). I’ve loss both my parents but I’ve never experienced grief on this level. I do take one day at a time and each day does get a little better and the walk to get through each day seems a little less long and painful. I’ve been focusing on planning for my next journey in life, which I discuss in a moment, and this has made me hopeful. I would say my current state of mind is “sad but hopeful“. I’ve decided to sell my house and move out of Central Oregon this Spring. I am not ready to share yet on my blog where I have decided to move, but will in the future. Over the past couple of weeks I’ve been cleaning and clearing out many items from TTQH’s life and my life. I think all the thrift shops and shelters in town are tired of my endless carloads of donations. In addition to local charity thrift shops, I am pleased with the groups I’ve been able to help out by donating TTQH’s stuff. For example I was able to donate all of his historical gaming miniatures/figures to the Hobby University of the Historical Miniature Gaming Society. I was able to donate some cool stuff to a local Veterans Association. I know TTQH would have approved. In preparation to sell the house and to move to a smaller space temporarily, I’ve been significantly downsizing my possessions. I’ve dabbled with Minimalism in the past (see my series of posts tagged with the category My Minimalism Journey) but I still had a lot of stuff. It seems like now I am able to be “brutal” with downsizing my stuff and now able to let go more easily. When you experience such a significant loss, things just do not seem as important/precious as they did before. Mike the Miniature Schnauzer and I will be on a road trip this Spring to our new home. I will of course bring my tierneycreates Beastie (see series of posts in the category Beastie Adventures) on the road with us and she might be guest blogging to share stories of our journey from Central Oregon to our new location in the U.S. (staying in the States). I do plan to return to quilting and blogging about lighter topics. I plan to finish the Tula Pink All Star quilt I last wrote about in the post Tula in a Box; and to continue the story on Secret Quilt Revealed, Part I. This post is a continuation of my post Stories from the Road, Part I, about my recent road trip across 4 states in the Eastern Coast of the United States as well as the new journey/road I am on as a widow after the recent loss of Terry the Quilting Husband (TTQH) my partner of many years. Thanks for all your comments on my previous post and here is a continuation of the story. If you remember from the previous post, my awesome sister drove me across 4 states on the Eastern Coast of the U.S. to visit family. In Upstate NY, we hung out with Terry’s family including his two sisters who are quilters. Sunday 12/16, one of Terry’s older brother (TTQH was the youngest of 7 children) and his wife had a wonderful get together at their home to celebrate Terry’s life. It was an evening filled with much memories and laughter. It was a bittersweet family reunion and I kept thinking how much Terry would have enjoyed it but my sister kept reminding me he was there in spirit. On Monday 12/17/18 my sister and I went with Terry’s sisters, who are quilters, to lunch and then to their favorite quilt shop – the Joyful Quilter in Glenville, NY. My sister, who is not a quilter, was a good sport and hung out in the quilt shop, sitting in front of one of the gorgeous high-end Baby Lock sewing machines on display and working on her graduate school coursework. My sister loves Airbnb and found us a delightful place to stay in Troy, NY while we were in Upstate NY. It was near downtown Troy which is actually quite charming and each morning we went to this wonderful little coffee shop for breakfast (and I had avocado toast for the first time which is actually quite delightful!). It was a perfect place to stay, very comforting, cozy and charming. It was fun to be sharing an apartment with my sister for a couple of days and just hanging out in the evening chatting about life over tea. On the way back to Baltimore (I was flying back home out of BWI Airport), my sister and I stopped for the day in Tarrytown, NY. Tarrytown is a charming town on the Hudson River and was ranked by Forbes as Among To 10 Prettiest Towns in America. We had a fun wander around Tarrytown and when I needed to go to the bathroom a local shopkeeper recommended I walk over to the library. The library! If you’ve followed my blog for a while, you know how I feel about libraries – I love them! My sister was enjoying chatting with a shopkeeper and she encouraged me to take my time and wander about the local library. Tarrytown NY is a historic area and the library was filled with historical art and sculptures. It had an amazing main room where patrons were sitting and reading. If you look closely in the photo below you will see one of the library patrons so comfortable he is napping! I wanted to go hang out with a book (and maybe sneak in a little nap) at this delightful library! My family and TTQH’s family would love me to move back to the East Coast to be closer to them and if it was not so expensive, Tarrytown might be an option. Once I get further down the road in my new journey as a widow and dealing with my grief, I will evaluate where I want to live my new life. The flight home was sad at first as I left the comfort of time with my families (my biological and my adopted Hogan family) and knew what waited for me back home was the reality of my loss and my new life as a grieving widow. However about half way into the flight I gazed out my window seat and really looked at the beautiful landscapes of the earth below and somehow felt hopeful and peaceful and that I could make it through this. For those of you who celebrate Christmas, I hope you had a Merry Christmas (or Happy Christmas as some countries say) with family and friends. I have a dear old friend staying with me right now for 5 days and she, I and Mike the Miniature Schnauzer spent a wonderful Christmas evening at a mutual friend’s house. We had a wonderful board game playing night with her children and Mike got to be worn around in his backpack by my friend’s 12 year old daughter. Mike loves to be in his backpack, here is a photo from my May 2018 post, The Road to Retreat (Via Cannon Beach) , with Mike riding around on TTQH’s back, happy as can be! I’ve titled this post “Stories from the Road” because it is about my recent road trip across 4 states in the Eastern Coast of the United States as well as the new journey/road I am on as a widow after the recent loss of Terry the Quilting Husband (TTQH) my partner of many years. First I want to thank everyone who left thoughtful comments on my previous post when I shared I would be taking a break from blogging. Please know I read and appreciate all the comments, I am not up to responding to them. 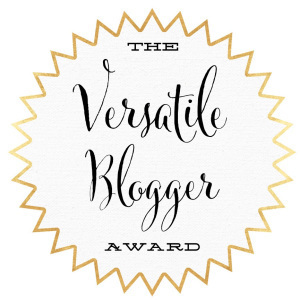 I really appreciate my blogging community and I was feeling the love, thank you. Originally I planned to take an extended break from blogging (or perhaps stop blogging complete) but I really enjoy writing and the amazement that people actually read my musings! No matter how terrible my grief is, I continually work on remembering two things: 1) how lucky I was to be married to my best friend for over half my life; and 2) that TTQH would want me to go forward in life and be happy. I am blessed to have a large supportive network of family, friends, and colleagues. My sister has been exceptionally supportive and I will talk more about that in the next section. My friends Marla Jo, Jason, Laurie, Michele, Judy, Kelly, Diane, Kathy, Dana and Lisa have also been exceptionally supportive. Marla Jo and Jason were there on the worst day of my life, finding Terry after an aneurysm took his life. They took my dog Mike the Miniature Schnauzer and kept him for a week. My friend Laurie was there on the second worse day of my life – going to the funeral home to make arrangements. I’ve mentioned outings with Laurie and her dog Luna in previous blog posts and on the second worse day of my life, Laurie took me to visit a horse property with horses she works with to give me a little equestrian therapy (see post Horsing Around). My friends Michele, Judy, Kelly, and Lisa have continually checked on me as well as many other friends and coworkers who have reached out. Terry’s family has been awesome and very supportive, especially his two amazing sisters, to include helping me with his end of life expenses. Friends have also reached out with financial support to help with travel and end of life expenses and I greatly appreciate that support. I learned how to set up a PayPal Me account so people could send money if they chose to support me in that way. I received two creative ways of support that made me smile – a Whole Foods gift certificate from my boss (I love Whole Foods but it is usually too expensive to shop there regularly); and a huge gift card to my favorite restaurant in Central Oregon from some colleagues. I’ve already used them both as I have not been up to cooking. My sister insisted that I immediately come to the East Coast of the U.S. to be with family when she learned of Terry’s passing. I was initially concerned about the huge cost of last minutes cross country flights; and that it was basically deep Winter in Upstate NY. My wonderful brother bought me a roundtrip plane ticket to Baltimore after my sister found the best flight option. My incredible sister, who lives in Richmond, Virginia, picked me up from Baltimore-Washington International Airport (BWI) and drove me across four states. We stopped in Delaware to see my brother, his wife and their son (my adorable 6 year old nephew) and then headed to Tarrytown, NY to stay the night before going on to Upstate NY in the morning. My brother also covered our hotel reservation at a very nice Courtyard by Marriott using his frequent stay points (he travels a lot for business). I am not sure how many miles my sister drove but I am pretty sure it was at least 800 – 900 miles roundtrip including her trip back home to Richmond. We crossed the following states: Maryland, Delaware, New Jersey, and New York. Part of our trip we had semi-scary inclement weather but my sister was an amazing driver. She insisted on doing all the driving. We drove to the home of Terry’s sisters, Sue and Diane. You might remember their names from my blog posts about their visits this summer to attend the Sisters Outdoor Quilt Show (see post Sisters Outdoor Quilt Show 2018, Part II: Visiting Crafters). That is a practice panel on the machine as they want to do a lot of practice before they work on an actual important quilt. He would most definitely approve! All I could think during the show was how much Terry would have enjoyed this as he was a huge dog person (he actually liked dogs more than people). I will end this post here and continue the story in the next post. My energy is low as would be expected with profound grief. Please know I appreciate and read your comments but I may not be up to responding. I have some very sad news, my husband of 29 years also known as “Terry the quilting husband” on this blog unexpectedly passed away last evening. My blog will be an indefinite hiatus while I deal with my grief, take care. A bonus post for today. I wanted to share these tips that Amy W., a Wellness Coordinator at my employer shared today. Floss. You know this one already. Sell or donate your microwave. You’d be shocked how much healthier you eat when you must clean a pan after every meal. Apologize if you were wrong. Drink chamomile tea. It’s good for nearly every part of your body. Drink some calming, honey-laden tea and think for a second. Check your credit score. If you have a credit card or student loans, you need to check your credit score. I know it’s scary, but unlike your Netflix membership, it’s free and important. Meet your neighbors. That way you won’t have to feel awkward when you are both out front avoiding eye contact. Stop pretending you’re not on your cell phone that much. We all look at them way too much. Look up, you might like what you see. Leave 15 minutes early for everything. Get a physical and go to the dentist. Stop using Listerine/Neosporin/Cranberry Juice etc. to cure that infection. Go to bed at a p.m. hour. Watch both a sunset and a sunrise. Listen to a whole album. The digital sales market has returned music to the singles-centric model that worked in the 50s and 60s, but even then, the best work was the full vision of an artist. Write something every day. Doesn’t matter if it’s a rant against your roommate or the philosophical ponderings brought on by an episode of your favorite television show. Learn this: They’re over there in their English class. Finally, remember we all have 24 hours every day to do with what we will. One of the best thing about having the tierneycreates blog for the past 5 years is connecting with other crafters, makers, artists around the world. One of those people is Pennsylvania based artist extraordinaire, Claudia McGill. She is one of those “Renaissance Women” whose dabbles successfully in many arts – writing, painting, drawing, illustrations, poetry, ceramics/pottery and collage. A couple days ago, I was surprised in the mail with a lovely holiday card and some some little pieces of her art! I know there are new bloggers now following my blog that might be looking for other maker blogs to follow and blogging communities to connect with, so I plan in the future to share more about the blogs I follow to help connect anyone interested. 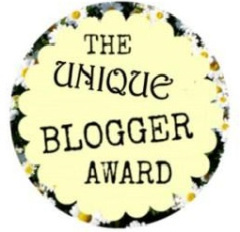 Over the years, I’ve met so many other bloggers through following and commenting on blogs that capture my interest. I’ve always fantasized about writing poetry and had dabbled but never had the confidence to share any of my writings. In addition to Claudia’s blogs, I also follow other “artist poets” such as South African based artist and poet, Mariss Stevens. She shares her beautiful art quilts with accompanying poems! First I’d like to apologize for any less than stellar photography. My design wall is in a narrow hallway in my home and I can only photograph it from an angle. Now that you have that disclaimer and you have lowered your expectations on the quality of the photography on this post, I can continue my series of posts “What’s on the Design Wall”, featuring my latest project up on either one of the small design walls in my studio or the large design wall my hallway. Up on my large design wall are thirty-six (36) 12.5 inch x 12.5 inch blocks for my quilt I am calling Tula in a Box. I have Terry the Quilting Husband (TTQH) to thank for arranging the blocks on the design wall. I had looked at them so many times I did not know where to start in laying out the quilt blocks on the design wall! There is a bit of story behind this quilt if you are new to my blog. You can check out my series of posts Tula Time! if you want to check out the back story. I’ve now made quite a dent in that stack above while piecing the 36 blocks. I am going to “fussy cut” the scraps of the feature fabric (the 6 different animal prints in 3 different color ways) for the cornerstone between the lattice. More to come as it progresses, for now I am just so happy to have finished the 36 blocks! My friend Dana who started my Tula Pink fabric obsession, has made great progress on her quilt which is made of pieced stars with the same collection of fat quarters from the Tula Pink All Stars line. Here quilt got too big for the design wall so she has it laid out on a bed in her studio (every maker/crafter needs a bed in their studio in case they suddenly need a nap while creating, right?). She is working on figuring out what to do for a border around the blocks. Our friend Judy who is also making a Tula Pink quilt, is still working on piecing her 36 blocks. As I mentioned earlier, if you are new to this blog and would like to know the story behind our quilts, check out the series of posts – Tula Time! (this link contains all the posts tagged as related to Tula Pink fabrics, you will have to scroll through the posts to see the other posts). In honor of Thanksgiving, I thought I would re-post my blog post from October 2015. For my U.S. readers – I hope you and the people in your life have a wonderful Thanksgiving holiday. For my readers around the world – I hope you and the people in your life have a wonderful day! 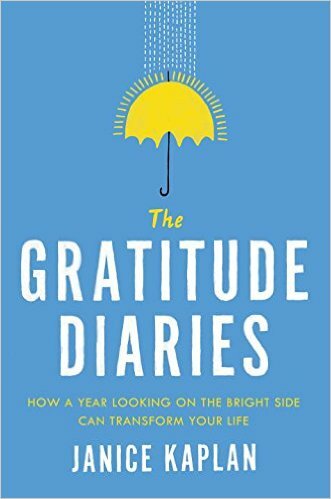 I have just finished a wonderful audiobook, The Gratitude Diaries: How a Year Looking on the Bright Side Can Transform Your Life by Janice Kaplan (2015). In her book, Janice Kaplan shares plenty of meaningful quotes, like the one above, as well as wonderful stories (personal and of others) about living each day filled with gratitude. The author also provides lots of social science/research (aka “Malcolm Gladwell” style) that supports why true happiness and peace comes from living an existence soaked in gratitude. A very inspirational and very joyous audiobook listen. A Crafter's Life, Life in B&W, Sunflowers! This is sort of a follow up to the 10/21/18 post Creative Inspiration: Sunflowers!. but it really about the end of the “warm” seasons in Central Oregon (late Spring, Summer and early to mid Autumn) and the heralding of the Winter (aka cold) season. A couple days ago on my daily walk I snapped this photo of the Giant Sunflower that I posted about in the Creative Inspiration: Sunflowers! post. I seems like Black & White is the right palette for the now stark and shriveled previously gorgeous sunflower. It appears that all the sunflower seeds are gone from the sunflower head and I am not sure why the homeowners are letting it sit there to decay. There are many good things about Winter and Winter is important to the Central Oregon ecosystem and to our economy (we have Mount Bachelor which brings in the skiers and other Winter sport enthusiasts). Winter is also a great time for reading, nesting, crafting, reflecting, and the Winter holiday. But today I am sort of wistful for the beauty of the other seasons and grieving the end of the tremendous beauty of Autumn in Central Oregon (see post Creative Inspiration: Fall Colors). Right now all the leaves have fallen and everything looks stark, bare and dried out. I think the landscape will get more appealing once the snow falls and a lovely blanket of white covers the stark ground. Well I am happy to report Marseille had his surgery yesterday and he is “recapitated” and all better! Marseille also had a loose arm so I reinforced the stitches on his arm so he did not suffer any spontaneous amputation of his limb! Today Marseille flies back to the Eastern Coast of the U.S. to be reunited with my nephew (via the U.S. Postal Service Priority Mail). I already texted a photo of “recapitated” Marseille to my sister-in-law who shared this with my nephew who is very excited to get his beloved bear back (with a head)! I must admit, repairing Marseille and working with a doll needle got me interested again in the idea of making “softies” someday. I will put that into my backlog of craft projects I want to work on someday. In addition to repairing Marseille the little teddy bear, I also had to repair Mike the Miniature Schnauzer’s favorite toy “Lamby”. We do not usually let mike have stuffed/soft toys as he tends to tear them up (his main toys are usually chew-resistant balls). However when my sister-in-laws visited this summer for the Sisters Outdoor Quilt Show (see post Sisters Outdoor Quilt Show 2018, Part II: Visiting Crafters) they brought his a toy that was allegedly rugged and could handle his chewing – a toy lamb. But then we discovered Lamby had a terrible and unsightly injury: his crotch was ripped open! I am on Day 12 of daily posts as part of the challenge I set for myself for the month of October in celebration of my blog’s 5th anniversary to post everyday for the 31 days of October. If you count the post I made on Sept. 30th then I am actually at 13 days straight of daily posts! So far I haven’t had to pull from my 5 years of post archives as I thought I might have to by now. Today I originally planned a semi-follow-up to yesterday’s post Shinrin-Yoku: The Japanese Art and Science of Forest Bathing, but then something cool happened yesterday afternoon that I wanted to share: Impromptu Quilt Gifting. 2 years ago I took it out of “quilt rotation” at my house and put it away in the closet. You see after 18 years of quilting I have a lot of quilts in rotation at my house! Earlier this year I took the quilt out of the closet to decide what to do with it – I did not want it to just live in the closet – it is a nice cozy quilt that someone could enjoy. It was not the style of any of my family members or close friends. So I put it back in the closet. Well yesterday this quilt discovered its new forever home at the spur of the moment. I am a full-time telecommuter for my pay-the-bills-job. Yesterday afternoon I had a virtual meeting with a new colleague (the unit I work on recently transferred into her department). She mentioned during our meeting that she heard I was a quilter and wondered if I she could commission me to make a quilt for her daughter. Her 12 year old daughter has a complex illness and is continually in and out of the hospital or extensive ongoing outpatient visits and treatment. While in the hospital or in outpatient treatment rooms, she is cold and the blankets they provide never really keep her warm plus they are impersonal communal blankets. What she wanted for her daughter is her own quilt to take with her to keep her warm and cozy while she endures extensive ongoing medical treatments and evaluations. I wanted to help but I do not have the bandwidth or interest at this point to do a commission quilt and offered to refer her to one of my quilting friends who might be interested. Then I remembered that I had a quilt currently available. So I asked her did she need a custom quilt and she replied no – she just wanted a cozy quilt for daughter. I texted her a photo of the quilt and offered it as a gift for her daughter to keep her cozy during her treatments. My colleague immediately said yes and was overwhelmed with my impromptu offer. The amazing thing was that the quilt is in her daughter’s favorite colors! The cool thing about this quilt is I think it has a lot of “love energy” contained in it because it is made from scraps and leftover blocks from quilts made for people I love in my life. I hope that positive energy is felt by my colleague’s daughter as she is wrapped up in the quilt. The moment felt right yesterday afternoon for some impromptu quilt gifting. I had a different post planned for today but last night I picked up a package from the mail. The return address was from my brother who lives on the East Coast of the U.S. It is not fabric..it is a HEAD! A bear’s head! Is my brother sending me a warning that he has ordered a mob hit on me?!?!?!? Then I remember – this is my 6 year old nephew’s favorite teddy bear. My brother has sent the decapitated bear to me for repair! Now normally I do not like to be asked to do repairs (and please never ask me to hem/mend your clothes) as I think asking a quilter to repair fabric items, mend/hem clothing, etc. for you is like asking an artist who paints landscapes to paint your house. I always flinch when someone asks me this BUT this is for my beloved 6 year old nephew. So I am going to do a complex head reattachment surgery. If you are a quilter, how do you feel when someone asks you to hem or mend a fabric item just because you have a sewing machine/know how to use a needle? My neighbor Carole, a retired nurse, recently created a room in her house just for herself. I got to tour the room on Monday afternoon when I popped over for tea and to share my homemade apple cake (yes I made apples cake with left over rescued apples, see post Apple Rescue and Pre-Fall Cooking). She let me take photos so I could share with you images from her “nest“. A mother bird doesn’t complain that she doesn’t have time or space to create her nest, she just makes do with the resources available to her at the time…Her job is not finished when the nest is built. She still needs to protect it until her babies are strong enough to go out on their own…think of what would happen if the momma bird neglected to actually build the nest because she couldn’t find the perfect materials. Don’t let your creativity suffer or, worse, die because you can’t find the perfect lamp…don’t worry if it’s not perfect. Use the resources you have around you and allow them to blossom with age and use. Carole’s home looks like it was ripped from the pages of the magazine Country Living. She has a wonderful sense of style. Carole has a three bedroom home and previously one bedroom was the master bedroom, one bedroom was her husband’s office (he is a consultant), and the third bedroom was the traditional guest bedroom. Carole has adult children and adult grandchildren that live out of state and visit occasionally, however she realized that a high quality blow up mattress (that can be kept out of sight when she did not have visitors) would work for their visits. So she was able to get rid of the bed in the guest room, open up the space and create her Sacred Nest! The table in the middle of the room has leaves and opens up to a fairly large table that provides room for laying out a quilt or other projects needing additional space. When she has overnight visitors, she moves the table and sets up the air mattress in the middle of the room for the guests. She has many sweet items in the room, many tied to special memories. Next to her sewing machine she has a little metal drawer cabinet her husband made in high school shop class 60 years ago! Here husband also loves her room and is amazed with the warm cozy and inviting feel to the room. He even invited himself over to hang out in her room and watch a movie with her! Do you have your own nest/sacred space in your home – a room of your own? I’ve featured Carole’s decorating talents in a previous post from December 2016 –Seriously Cute Holiday Decorations. Here is one of her amazing holiday decorations from her endlessly creative mind:.